One of these beauties is my very own daughter. The other is a family friend. 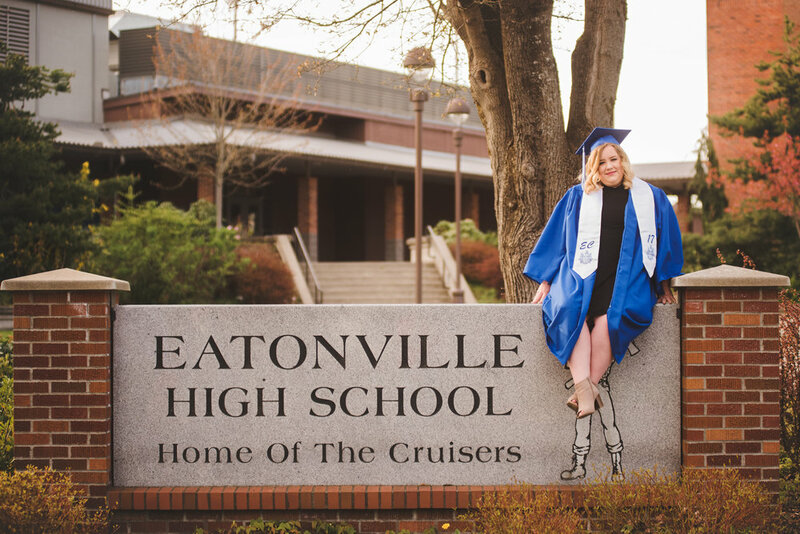 Fiona and Alaina, class of 2017, Eatonville High School. These girls both have big dreams and bigger goals. We got together for a quick little mini session when their caps and gowns arrived in the Spring. We are very lucky to have such a gorgeous school to use as backdrop. So many newer schools look like kiddie prisons - all cold concrete and steel beams. Our community has decided to preserve the original brick from the old school, and add on in a way that acknowledges the future while celebrating the beauty of the past. 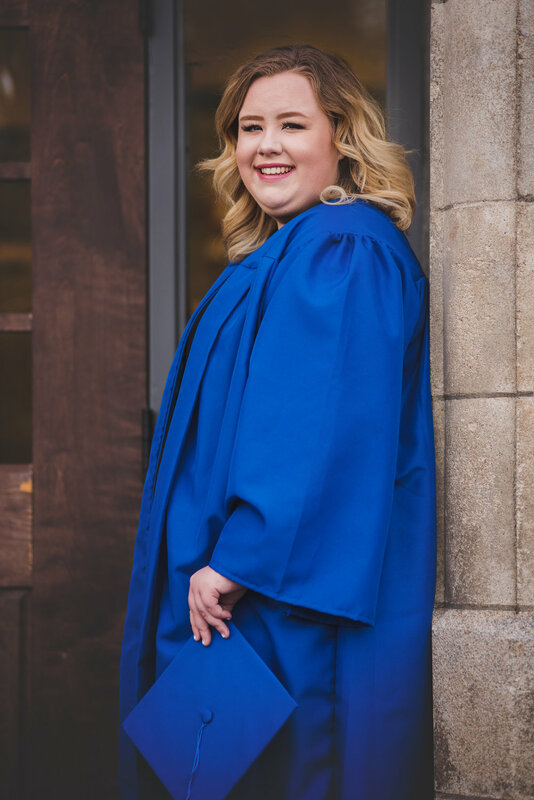 I never had a chance to share these photos on the blog… and I thought, well - better late than never! 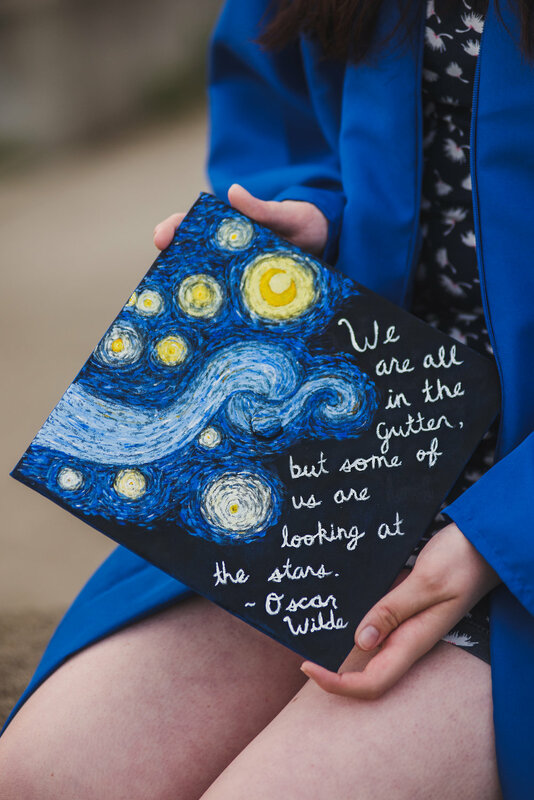 I love how my talented girl painted the Starry Night on the top of her grad cap, and I wanted to make sure I captured a photo as a keepsake for her. 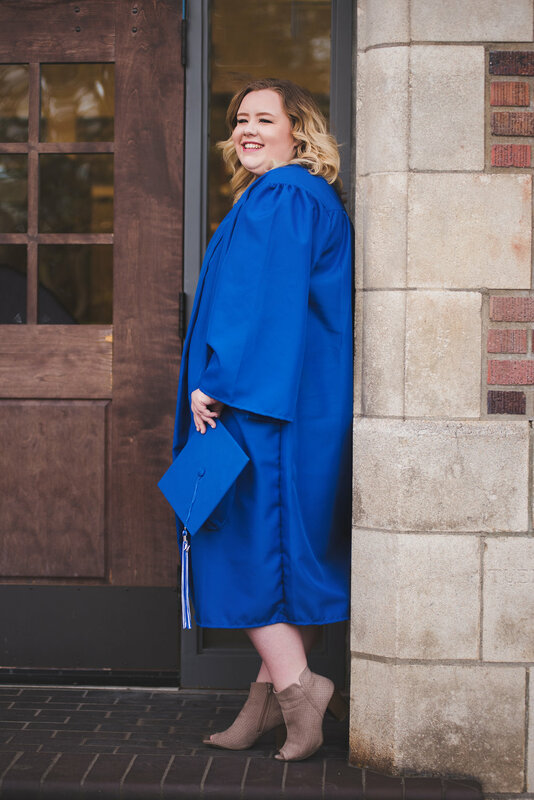 I know I’m totally biased, but I think she’s not only beautiful but crazy talented as well!